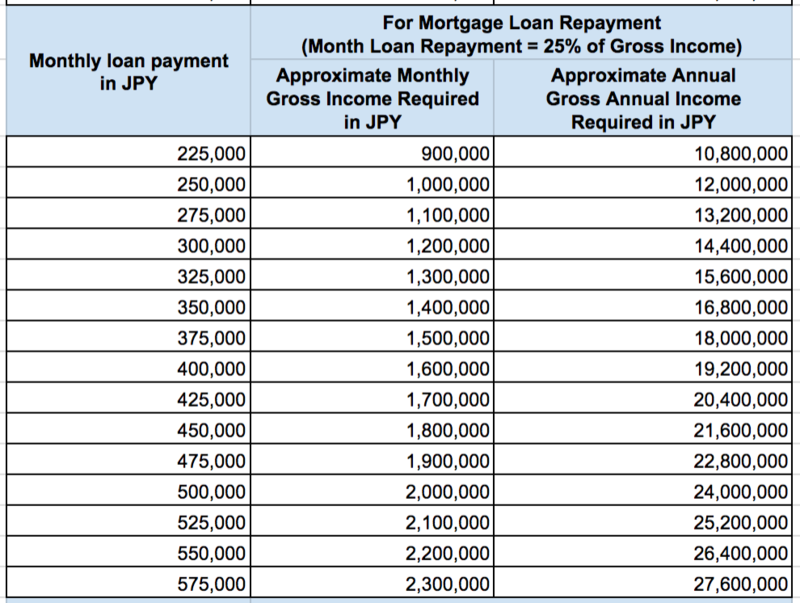 Yen Mortgage Loan Calculator: How much can you afford to buy in Japan? No matter where in the world you are buying property, the question of “How much house can you afford to buy?” depends primarily on two things: how much capital you have and what your projected income will be over the term of the loan. Most people choose to finance their property purchase, so we will explain a simple way to estimate how much you can afford to borrow based on lending standards used by major Japanese banks. You can also use our yen mortgage loan calculator with your own input amounts (loan amount, loan term, and interest rate) to calculate an estimated monthly loan payment amount. How much do I need for the down payment? You should have out-of-pocket cash to pay at least 20%-35% of the purchase price (to cover the loan down payment, the earnest money, and various incidental fees at the time of purchase such as taxes and agent fees). Taxes will add about 6% to 7% to the purchase price. 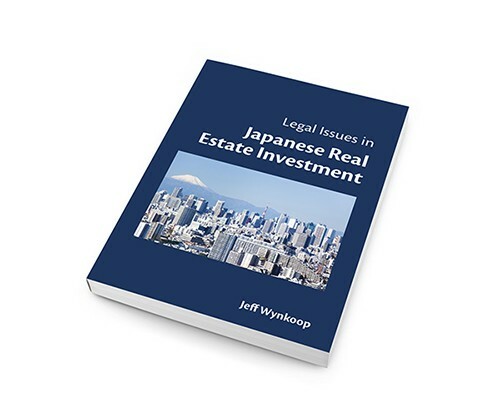 For more information on tax issues, please see this guide to Japanese real estate taxes, including annual fixed-asset (property) taxes to plan for. In general, lenders in Japan provide financing to individuals who allocate no more than 25% of their annual gross income to mortgage loan payments. Foreigners resident in Japan can qualify for mortgage loans from Japanese banks. Please see this article for more details: Getting a home loan in Japan as a foreigner. Rates for fixed-rate home loans in Japan are still generally very low. For example, the interest rate for Mitsui Sumitomo Trust Bank’s initial 10-year fixed period home loan is 0.95% (As of June 2017). 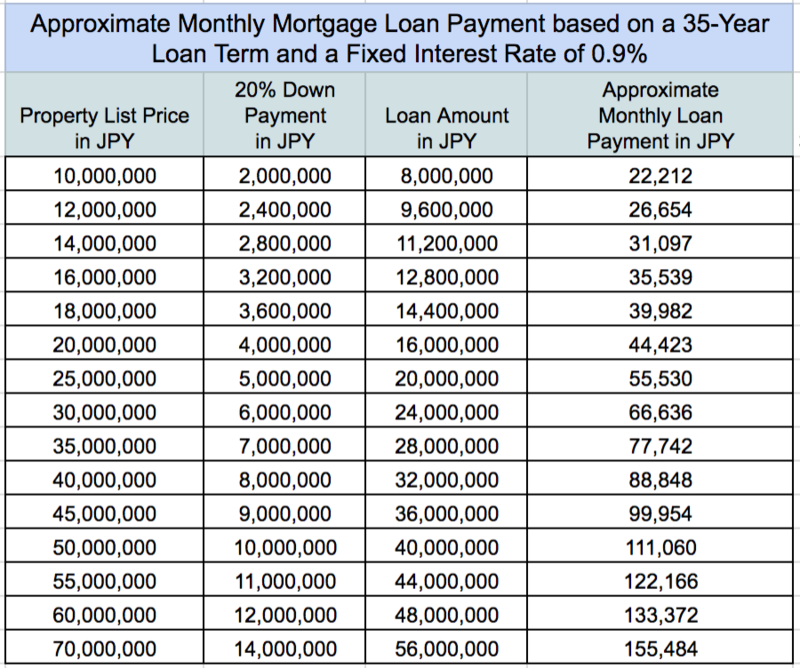 Please see this article for more information on current mortgage loan rates in Japan. So “how much house” can I afford? If you will be financing your purchase, this depends on the amount of your down payment and the terms of our loan. 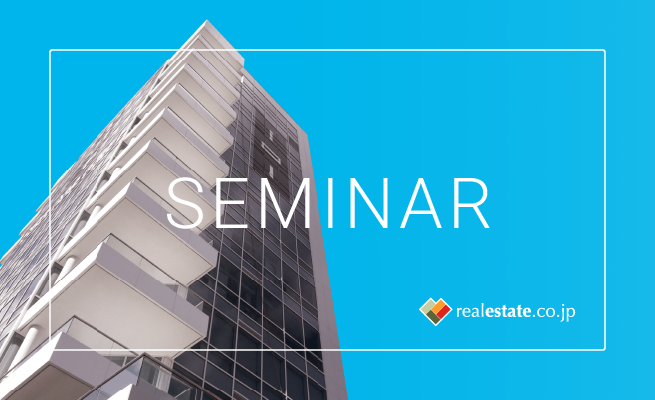 Below we present a simple scenario where a purchaser wants to buy a ¥50,000,000 ($456,000) re-sale condominium in the Tokyo 23 Wards. We chose this price point because the average listing price for a 70-sqm re-sale apartment (condo) in the 23 Wards is about ¥53 million. Disclaimer: Please be aware that the analysis below is only meant to give you a general idea of the income level required to borrow and re-pay this amount. Each bank has its own underwriting policies and the only way to know for sure if you qualify for a loan is speak directly to lenders. This purchaser has enough saved for a down payment of ¥10,000,000 ($91,142) and wants to borrow the balance from a local bank. This buyer wants to take out a loan of ¥40 million yen. We use the yen loan mortgage calculator below, assuming a loan term of 35-years and an interest rate of 0.9%. Based on this, their estimated monthly loan amount is: ¥111,066. 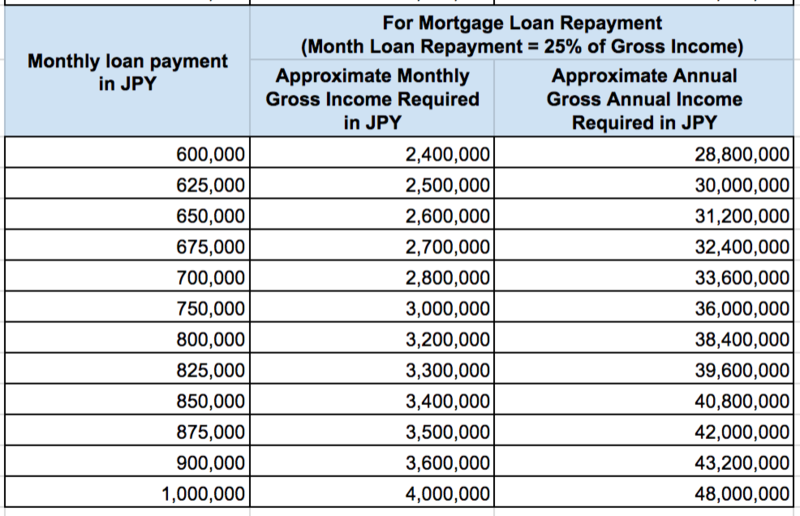 Assuming the bank requires that the monthly gross income to monthly mortgage ratio is 25%, this borrower would have to have an annual gross income of about ¥5,328,000. In the tables below we show the approximate gross monthly and annual incomes required to re-pay a monthly loan where, the loan is equal to 25% of annual gross income. Real Estate Japan provides this information for general informational purposes only. Please consult with lenders directly if you are considering applying for a home loan. How much will my monthly loan repayment be? Use the yen loan mortgage calculator below to estimate your monthly mortgage payment. 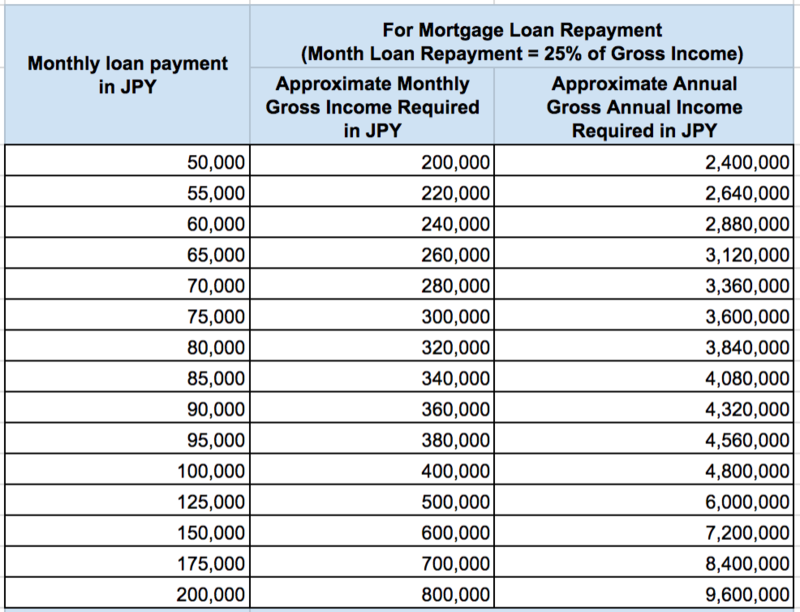 Disclaimer: Real Estate Japan provides this calculator to give you a general idea of a typical expected monthly loan payment. No guarantee is expressed or implied. Please consult directly with lenders if you are considering applying for a home loan. Will I qualify based on my income? Take the output number from the calculator above and multiply it by 12. Then divide the answer by your gross annual salary. If the number is less than about 25%, then generally your income meets the gross income to mortgage payment ratio used by most major Japanese banks. You can also use the tables above, where we have pre-calculated the approximate gross annual income levels required for various monthly loan payment amounts. However, please be aware that loan underwriting is a complex formula, and your gross annual income is only one of the variables a bank will look at to see if you qualify for a loan. In the table below, we have pre-calculated monthly loan payment amounts based on a 20% down payment, a loan term of 35 years, and a fixed interest rate of 0.90%. Real Estate Japan provides this information for general informational purposes only. No guarantee is expressed or implied. Please consult with lenders directly if you are considering applying for a home loan.